promote enjoyment and stewardship of our last remaining wildlands. Organized in 1969, VWC works closely with the congressional delegation from Virginia to pass federal legislation under the 1964 Wilderness Act, which provides permanent protection to outstanding wild areas on public land in Virginia. VWC has been instrumental passing legislation that designated all existing wilderness areas in the George Washington & Jefferson National Forests and in Shenandoah National Park. The Virginia Wilderness Committee is a 501(C)3 non-profit citizens' group. 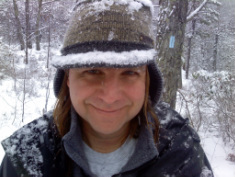 Mark has worked on Wilderness and roadless issues in Virginia for the past 12 years. He was instrumental in the passage of the Ridge and Valley Act, a part of the Omnibus Lands Bill of 2009, which placed 43,000 acres of the Jefferson National Forest in the National Wilderness Preservation System and designated an additional 12,000 acres as National Scenic Area. He has worked extensively on planning issues for both the Jefferson and George Washington National Forests in Virginia. In 2012, Mark won the 2012 McCarthy Award for Environmental Conflict Resolution. Mark, along with co-author Steven Carroll, has written four hiking guides including two on wilderness and roadless areas in Virginia. He is also author of Virginia's Mountain Treasures: Unprotected Wildlands in the George Washington National Forest. Mark lives in Lexington with his wife, Cindy. He has three daughters and more foreign exchange students that call him Dad than he can keep track of. Lacey is a Virginia Master Naturalist with 12 years of experience working in informal science education. She enjoys getting out in the woods with her husband, two children, and 80lb puppy. Christy is an adjunct professor in the Geographic Science Department at JMU. She also works part-time in JMU's Office of Environmental Stewardship and Sustainability.​ She has an M.A. in Geography and Recreation from U of WY and a B.S. in Interdisciplinary Social Science at JMU. She formerly worked as a coordinator for wildlife expeditions by the Teton Science School (WY). She and husband Brian frequently go hiking, biking, kayaking, and traveling. She greatly values Wilderness and is interested in natural resource management issues. Tom lives in Augusta County near Middlebrook with his wife Sharon and great niece Ivy. Tom retired from the U.S. State Department last year after a 31-year career as a Foreign Service officer. During that time he worked in U.S. embassies in China, Japan, Pakistan, Singapore, Germany and Afghanistan, as well as in several offices in the Washington headquarters. 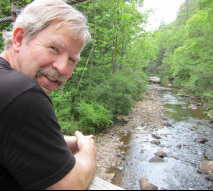 Tom has been an avid hiker since spending his high school years near the Smoky Mts., and his introduction to this region was through camping in the 1980’s in Ramsey’s Draft Wilderness. Tyler’s family moved from the suburbs outside Harrisburg, PA to a historic home surrounded by woods, creeks and the James River when he was 10, beginning his love of the outdoors. Through the Boy Scout program he became well acquainted with the wonderful opportunities for hiking and camping that Virginia has to offer. 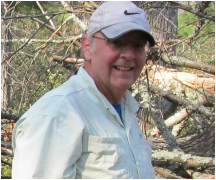 His love of the mountains and being outdoors has continued into his adult life, and for over 25 years he has spent many nights in some of the wilderness areas in Virginia. Tyler lives in Glen Allen and works for the Virginia Department of Conservation and Recreation-Division of Natural Heritage. James Murray is Professor of Biology Emeritus in the University of Virginia and sometime Director of the Mountain Lake Biological Station. He is the author of Genetic Diversity and Natural Selection and many papers on the evolution and population biology of polymorphic land snails. He is a founding member of the VWC and has worked on the passage of wilderness legislation since 1969. Ron has been an accounting professor at Eastern Mennonite University since 1984, with a specialization in financial accounting reporting issues. He keeps an active CPA license. Ron is a dedicated hiker and for several years has been maintaining Buck Mtn. Trail in the proposed Little River Wilderness. Ron also works on other trails in the proposed Shenandoah Mountain National Scenic Area. Bud Watson is an attorney with a background in the natural sciences and over thirty years experience in environmental law and land use planning. He has worked with organizations in the private sector, government, and public interest NGO’s. He was the first Director of the Chesapeake Bay Foundation’s Virginia office, was a principal in drafting the Chesapeake Preservation Act, and was the first Director of the Chesapeake Bay Local Assistance Department. John has been engaged in fundraising, development, and policy research related to land conservation and battlefield preservation in Virginia and nationally for more than 32 years. A land use planner, he has directed land acquisition and conservation programs at the Shenandoah Valley Battlefields Foundation, the lead managing partner for the Shenandoah Valley Battlefields National Historic District (SVBNHD), since 2001. In his private practice, Jennings Gap Inc., Mr. Hutchinson has conducted planning and land conservation projects in Fauquier, Frederick, Orange, Page, Prince William, Rockbridge, Rockingham, Shenandoah, and Spotsylvania counties in Virginia and Allegheny County, Maryland. Steve is head of the Visual and Communication Arts Dept. at EMU where he teaches Conservation Photography. 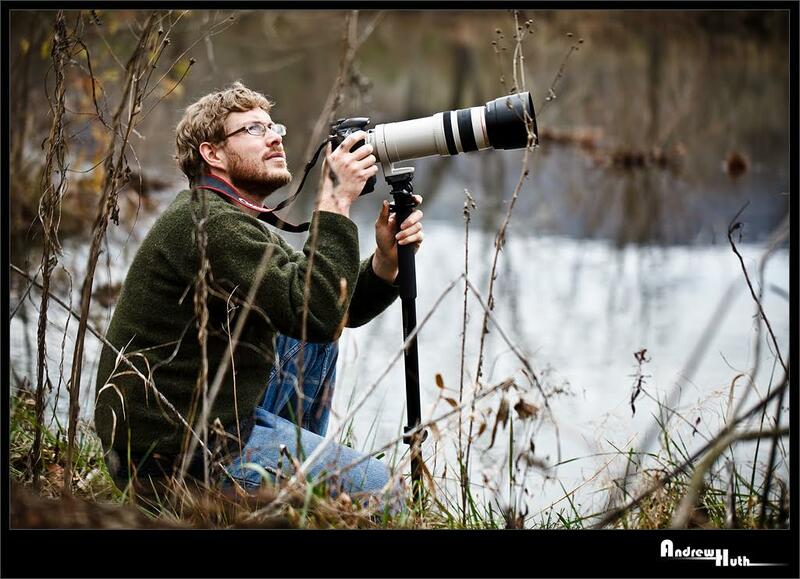 His photography has appeared in Orion, National Geographic Kids Books, and numerous other publications. Over the last few years Steve has donated dozens of photos of animals, scenes, and waters in the GWNF, taken either by him or his students, for use in VWC's 50th Wilderness display, Facebook page, and website. Most recently he has been finding and photographing Cow Knob salamanders along the Atlantic Coast Pipeline route. He has worked with stakeholders on forest issues in Oregon, so brings some familiarity with that process to VWC. Steve and his wife Anna Maria, a writer and teacher, have two young daughters that they often take on hikes. A native of Utah, Pete Bsumek moved to Harrisonburg in 1996 to teach in the James Madison University School of Communication Studies. Pete is co-director of the JMU Center for Health and Environmental Communication and coordinator of the interdisciplinary Environmental Studies program. He has been the Wilderness Issues Chair for the Virginia Chapter of the Sierra Club since 2006 and currently serves on the National Sierra Club Wildlands Committee. Larry grew up in Waynesboro, VA and enjoyed the outdoors many a weekend backpacking, canoeing, swimming and generally having fun including hopping in a car and heading up to the Blue Ridge Parkway after school to enjoy the wonderful mountains in Western Virginia. After studying music in Richmond, Eugene, OR and Boston he returned to the Shenandoah Valley area in 1984 and has lived in Rockbridge County for about thirty years. Classical music, theatre and the arts in general are an important part of his life as is gardening and exploring the mountain in his backyard. A part time bookkeeper and carpenter, Larry has served on several non-profit arts-related Boards and is currently treasurer of the Rockbridge Area Conservation Council. “I feel that few things are as important as preserving our dwindling wild spaces”. A native of West Virginia, Lynn Cameron moved to the Shenandoah Valley in 1981 and soon fell in love with the Blue Ridge and Allegheny Mountains. Lynn is proud to claim the late Ernie Dickerman as her mentor in wilderness advocacy. Lynn has served as a Forest Issues Chair and Wilderness Chair of the Sierra Club - Virginia Chapter. 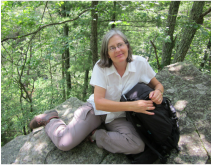 Now a Professor Emerita at James Madison University, Lynn is Co-Chair of Friends of Shenandoah Mountain and a hike leader for the local chapter of PATC. She spends a great deal of time building support for the Shenandoah Mountain Proposal and organizing worktrips in Ramseys Draft Wilderness and the proposed Shenandoah Mountain National Scenic Area. 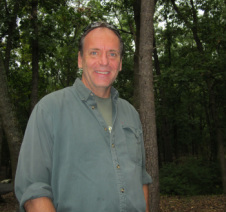 Bart Koehler is one of the most respected wilderness leaders in the United States. He worked 19 years with The Wilderness Society and from 1999-2011, was Director and then Senior Wilderness Campaign Director of TWS’s Wilderness Support Center in Durango, CO. Bart is now Coordinator of the American Wilderness Project. During the course of his four-decade career, he has helped many bedrock grassroots groups, including the Virginia Wilderness Committee, secure permanent protections for numerous areas encompassing over 8 million acres of public land...from Wyoming to Alaska, from Nevada to New Hampshire, and beyond. Bart helped with successful passage of wilderness legislation for Three Ridges and The Priest in 2000 and Virginia Ridge and Valley Act in 2009.
singer-songwriter. One special song by Bart is "The Ernie Song", which he wrote as a tribute to our own Ernie Dickerman. Michael Pelton is Professor Emeritus in Wildlife Science, Department of Forestry, Wildlife, and Fisheries, University of Tennessee, Knoxville. He and his wife Tamra moved from Tennessee to Augusta County Virginia in 2000. Mike spent his career studying large mammals in the southern Appalachians, primarily black bears and raccoons. His bear research began in the Smoky Mountains of Tennessee but expanded into many (16) other mountain and coastal study sites scattered over the Southeast, including the states of Florida, Georgia, Louisiana, Arkansas, and North Carolina. Mike also worked with international colleagues on brown bear research projects in Norway, Spain, and Russia and Asiatic black bears in Japan. He is a founder of the International Association for Bear Research and Management (IBA) and served as President for two terms and a Council member for over 20 years; this organization publishes a peer-reviewed journal (Ursus) and currently consists of over 800 biologists/managers from 45 countries. He cofounded the Southern Appalachian Black Bear Study Group (SABBSG) and was Coordinator from 1976 until 2000. In 2012, Mike received the prestigious Caesar Kleberg Award from The Wildlife Society for his productive career in applied wildlife research. Mike is a "hobby peasant farmer" on their mountain farm, serves on the Board of the Rockbridge Area Conservation Council (RACC) and teaches the Mammals section for various chapters of the State Master Naturalist Program. He stays active professionally by writing, giving presentations, reviewing manuscripts, and attending professional meetings. ​Zach Foster is the founder and Program Director of the Great Appalachian Valley Conservation Corps (GAVCC). Through his work with the GAVCC, Zach works to connect young adults to meaningful conservation service projects on public lands across Virginia. Zach has a background in youth and young adult conservation programs in Colorado, Vermont and Tennessee. As a native to Bridgewater, VA, Zach grew up with Shenandoah Mountain defining the skyline and found his earliest conservation mentors when Rockingham County high school educators helped him connect to internships and opportunities with public land managers. Zach loves to spend time in the mountains with his wife, Lara Mack and is an avid public lands hunter and trail runner.